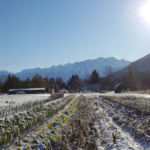 From extreme flooding to drought and previously unheard of temperature variability, climate change is a serious matter for BC organic growers. While agriculture is feeling more than its share of climate change impacts, a set of solutions exist where farmers and ranchers play a key role. Land-based climate solutions can avoid and absorb enough greenhouse gas (GHG) emissions to be equivalent to a complete stop of burning oil worldwide. This contribution is too important to ignore. An article in the journal Proceedings of the National Academy of Sciences assessed 20 cost effective land-based climate solutions applied globally to forests, wetlands, grasslands, and agricultural lands. These conservation, restoration, and land management actions can increase carbon storage and reduce GHG emissions to achieve over a third of the GHG reductions required to prevent dangerous levels of global warming. The Intergovernmental Panel on Climate Change (IPCC) has stated emissions reductions are not enough to avoid catastrophic climate change impacts: we need to remove existing carbon from the atmosphere. Farmers and ranchers can help do this through practices that sink carbon in soil and vegetative cover. In California, the fifth largest exporter of food and agriculture products in the world, climate change poses a major threat—drought, wildfire, and a reduction in the winter chill hours needed for many of the state’s fruit and nut crops are already taking a toll on production. California is a leader in climate change policy with ambitious GHG reduction goals, but the state is also recognizing that reductions alone are not enough. California is implementing programs and policies that put the state’s natural and working lands, including wetlands, forests, and agricultural lands, to work sinking carbon. 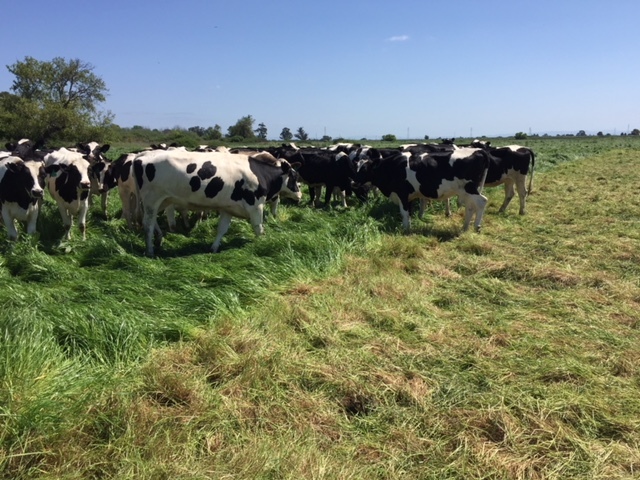 The carbon farming concept was founded on early research in Marin County that showed land under management for dairy had much higher carbon concentrations than neighbouring land. 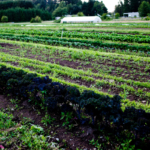 This led to research trials by University of California, Berkeley in partnership with local ranches that showed a single year of compost application yielded higher annual carbon concentrations for at least 10 years. In the initial year the compost itself was responsible for some of those carbon additions, but additional annual increases in soil carbon came from carbon being pulled from the atmosphere. The one time, half inch application of compost stimulated the forage grasses to increase carbon capture for a decade or more. This was enough for researchers to take notice. Producer partners were happy to see the increased yields in forage production that resulted from the compost application. Those first results led to the development of a carbon farm planning tool. 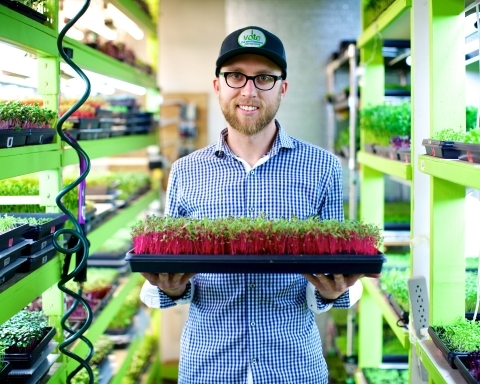 “After seeing those results everyone was excited about compost. But we wanted to see what else we could do,” states Creque. Using the existing USDA-Natural Resources Conservation Service farm planning process as their template (the US equivalent of Canada’s Environmental Farm Plan), Creque and his colleagues re-formulated the approach by putting the goal of maximizing carbon sequestration at the centre of the process. The carbon farm planning tool was the result. 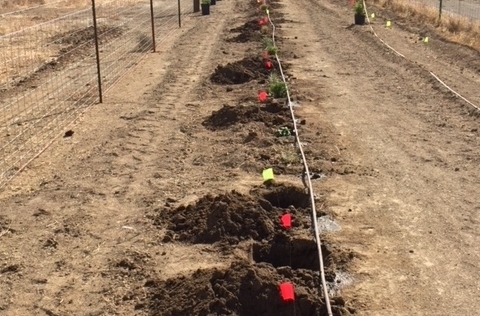 The first farm in Marin County completed a Carbon Farm Plan in 2014; today, 47 farms across California have completed plans and about 60 more are waiting to begin. Along with compost applications, other carbon farming practices include riparian restoration, silvopasture (the intentional combination of trees, forage plants, and livestock together as an integrated, intensively-managed system), windbreaks, hedgerows, and improving grazing practices. Over 35 practices are considered in carbon farm planning. For high impact, riparian restoration is one of the best performers. The high productivity of riparian ecosystems means a large amount of carbon can be sunk in a relatively small part of farmers’ and ranchers’ total land area. The adoption of carbon farming practices on one California ranch is equivalent to taking 850 cars worth of carbon dioxide out of the air and putting it into the ground. This ranch has also tapped into new markets for their wool by being eligible for the Climate Beneficial program offered by Fibershed, a network that develops regional and regenerative fiber systems on behalf of independent working producers. A win-win at the farm-scale. But collective impact holds the most potential. “No one farm can ameliorate climate change, but collectively with many farms involved they can have a big impact,” Creque emphasizes. 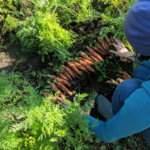 The implementation of carbon farming practices in California is greatly helped by numerous federal, state, and county level programs that offer cost share contributions. 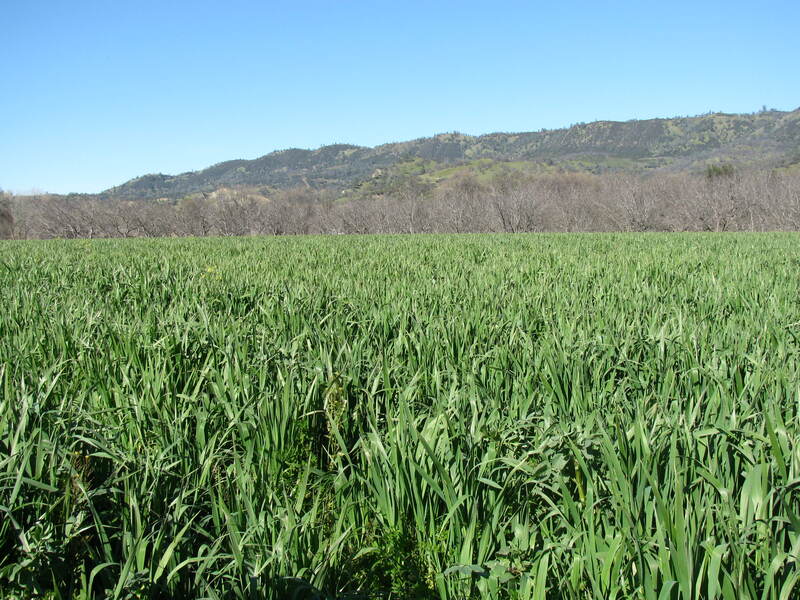 Farmers and ranchers can receive direct grants to implement carbon farming practices from programs such as the national Environmental Quality Improvements Program and California State’s Healthy Soils program. But it has been challenging to convince the government agencies involved in managing climate change of the valuable role agriculture can play. More and more local climate action plans are being developed, but most fail to consider what natural or working lands can offer to GHG mitigation strategies. “The beauty of agriculture land is that since we are already managing them, not as big of a change is required to manage them differently,” Creque concludes. Under their Climate Smart Agriculture initiative, California offers programs on irrigation efficiency (SWEEP), farmland conservation, manure management, and incentivizing farm practices that store carbon in soil and woody plants (Healthy Soils). Each of these programs, funded in part by the State’s cap and trade program, plays a role in either decreasing the amount of GHG emitted from the agriculture sector or increasing the amount of carbon stored in soil and woody plants. 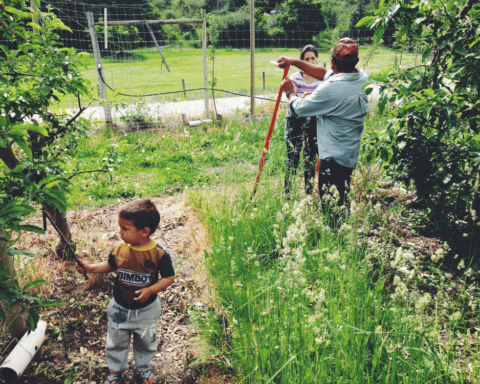 State programs like Healthy Soils and SWEEP are a start, but more can be done, suggests Sooby. These programs are competitive, and they can be complicated and time consuming to apply to which makes it difficult for smaller scale producers to access the available resources. Sooby would like to see California provide financial incentives to all farmers who are taking steps to conserve water and reduce GHG emissions. 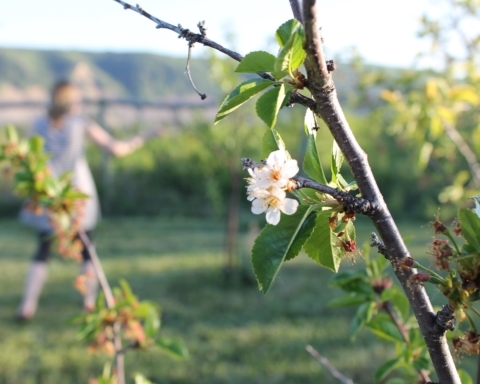 CCOF has engaged directly with government to make their programs more accessible to organic farmers and ranchers at all scales. What more is needed? 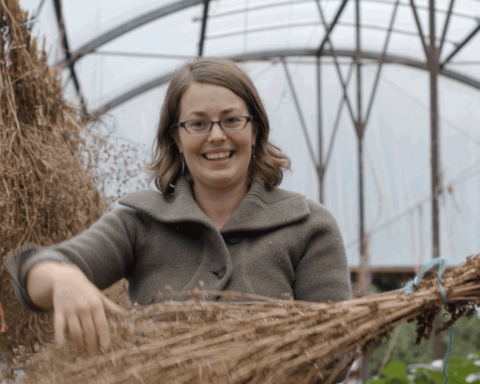 Shauna MacKinnon has been working on food and agriculture issues for well over a decade. From social and economic research to supporting research and extension she has been honoured to work with many great food and farming organizations. 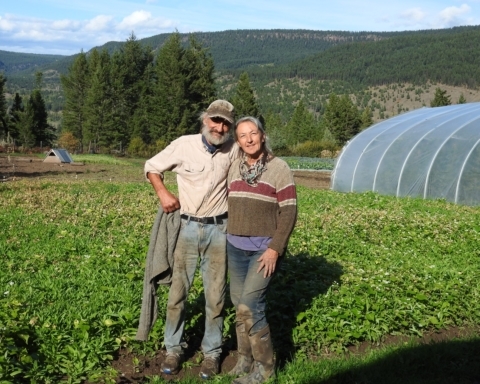 She currently coordinates the Farm Adaptation Innovator Program for the BC Food & Agriculture Climate Action Initiative, but has contributed this piece as an independent writer. 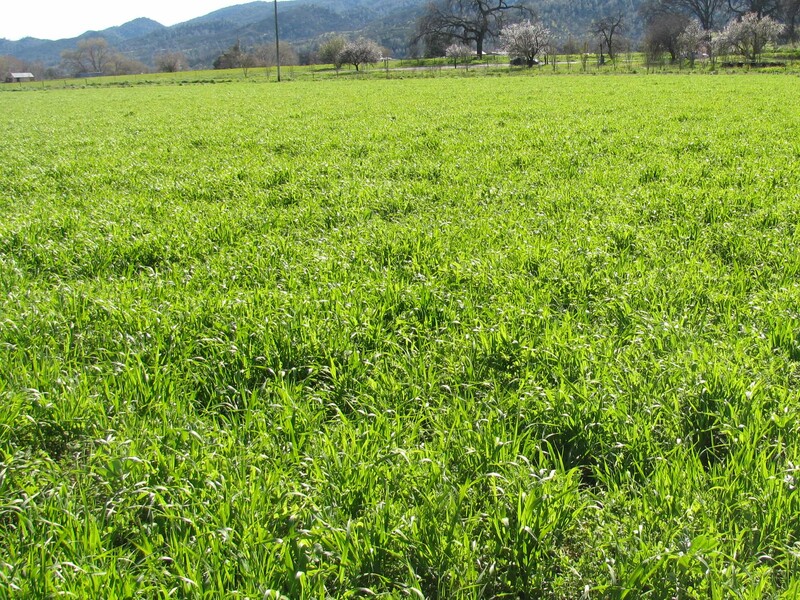 Feature image: Implementation of a rotational grazing program on a Marin Carbon Farm. Photo by Dr. Jeff Cheque, Carbon Cycle Institute.